MEMPHIS, Tenn., January 16, 2019 – Lehman-Roberts Co., a leader in the highway paving, construction, asphalt and aggregate industry, has hired Maria Bennett as Contract Administrator. Bennett reports to Jobe Madison, Vice President of Project Management. As Contract Administrator, Bennett is responsible for acting as a liaison between internal project management teams, subcontractors and customers for both Lehman-Roberts and sister company Memphis Stone & Gravel Co. Prior to joining Lehman-Roberts Co., Bennett served as the Vice President of Collections and Asset Remarketing for a local banking institution and has more than 15 years of experience in the banking industry. 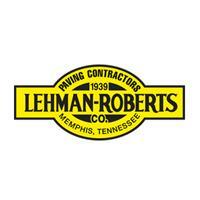 Lehman-Roberts Co. has been a part of the fabric of Memphis for more than 75 years. Now in its fourth generation of family ownership, Lehman-Roberts Co. continues to build upon a long tradition of quality, trust and strong managerial leadership that distinguishes the company among competitors in the highway construction industry. With an impressive record, vibrant leadership, and sister-company Memphis Stone & Gravel Co., Lehman-Roberts Co. is well poised for its next 75 years of success “paving the Mid-South.” For more information about Lehman-Roberts Co., please call (901) 774-4000 or visit www.lehmanroberts.com.